It starts like a Skyhawk, turns into a Phantom and finishes off like a Starship. If you were as confused as I thought you’d be, don’t fret, I was in the same position earlier today when discussing Rockwell’s XFV-12A prototype, a supersonic-capable vertical//short takeoff and landing fighter aircraft built for the Navy with an old friend. The XFV-12A was born of a requirement to combine both the speed and armament of the heavy air-superiority F-4 Phantom II with the versatility of the Hawker Siddeley Harrier jump jet, back when the Sea Control Ship idea was still being floated around the halls of the Pentagon. Therefore, it would have to be able to hit Mach 2+, take off and land vertically and fly with a combination of AIM-7 Sparrows and AIM-9L Sidewinders as its primary weapons payload, backed up by an M61 Vulcan rotary cannon. 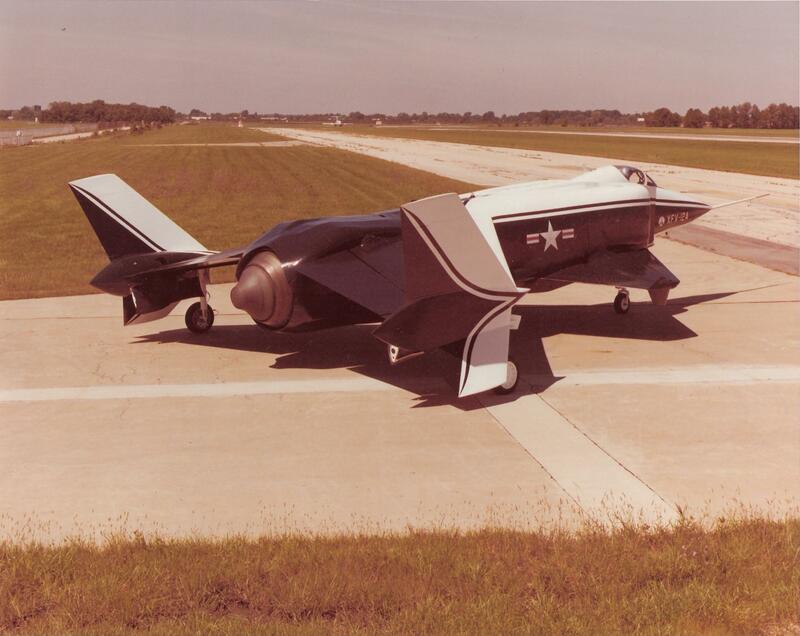 In 1972, the US Navy sent out requests for proposals for such an aircraft, and Rockwell International responded with the preliminary designs for the XFV-12. The prototype was built with the nose and cockpit section of a Douglas A-4 Skyhawk and the intakes of the Phantom II, all blending into a 44-foot long fuselage with canards and a large rear-placed wing with a span of 28.5 feet, somewhat similar to that of a Raytheon Starship. The peculiar configuration used a Thrust Augmenter Wing setup that diverted all exhaust from the Pratt & Whitney F401 turbofan engine to ejector nozzles set into the wings and canards, allowing for vertical flight. Specific to this aircraft was its use of “venetian blinds” in the wings, slats and panels that would open simultaneously to allow the ejector nozzles to vent the exhaust downward. When contrasted with the four-nozzle setup of the Harrier, many felt it would be extremely risky and considerably difficult to maintain altitude with such a setup. Between 1974 and 1978, engine rig testing was carried out with a number of predicted issues appearing, just as some critics had expected. Their theories about the XFV-12’s inability to fully support itself in vertical flight were validated in 1978 during tethered hover-tests. However, it was noted that the aircraft would supposedly fly well-enough in conventional flight. Further testing at NASA’s Langley facility proved to be the undoing of the program, and the XFV-12A was canned, once and for all in 1981. Another interesting aircraft that never was.